An Impedance Equalization Circuit is used to counteract the rising impedance of a voice coil caused by inductive reactance. The cause of this impedance rise is due to the speaker's voice coil inductance (Le). The calculated inductor is 0.21 mH for 4.5 kHz cutoff frequency. Impedancecurve Fullrange driver without Zobel compensation. 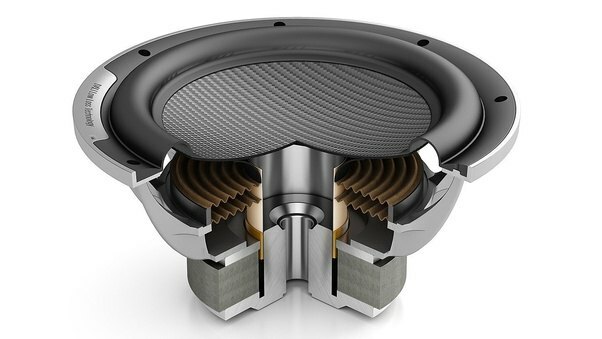 Take a look at the impedance plot of this fullrange speaker. The impedance at 4.5 kHz is not 6.0 ohm, but 9.3 ohm! the crossover filter works better, because the driver impedance is more stable. Impedancecurve Fullrange driver with Zobel compensation.